Hi. Last year, I bought an 88 K150 with a 305, a 700r4 with kickdown cable, and CA Smog equipment. The crank was broke and I preferred a 350 anyway, so I swapped in a 350 from a 94 suburban from a local salvage yard. I put a gasket kit in the motor and replaced the oil pump and timing set. I also had the rear diff off to replace the fluid, so I counted the ring and pinion to find I have 3.42 gears. The injectors, ECM, ESC, and knock sensors are all replaced with 350 equivalent, and it's completely stock with all air equipment hooked back up. The goal is to get the truck running properly in order to smog. Also since I've never even driven the truck and I don't have the ability to tune yet, I chose to keep everything stock for now. My goal was to find a truck with all the same major components, (engine size, a/c, trans, and smog). I also tried researching the proper PROM, but there are so many different combinations over the years, it was easier to try to find an appropriate donor vehicle. The first computer I picked up had a 350 and automatic, prom ASDZ, but I completely forgot to look for smog equipment. I went back weeks later a found a truck with all the right equipment, prom AMUS. AMUS I pulled this out of an automatic truck with smog and a 350. With this Prom, the truck starts and idles well, but stalls under any load. I expected this PROM to work the best because the donor truck had smog most of the same equipment. ASDZ This came with the second computer, so I'm not sure what this is in it's stock form, but the truck will drive using this Prom, but it wants to stall on deceleration. I think I have more than one issue to fix, but I want to make sure the PROM I'm using is correct before chasing down other issues. Since I'm able to drive with one PROM and not another, I'm assuming the main issue right now is the PROM. So my question is do I have the correct stock PROMs, or am I missing something else? Have you taken a look at this site? Shows a list of proms, might have you on a better track. Last edited by Uno122; 10-19-2018 at 10:52 AM. Thanks for the reply. I have checkout that webpage. And one of the chips is on that list. I also found the other 350 bin file on another webpage, but I'm having a hard time determining what factory options came with each bin/chip. Last night I downloaded TunerPro and started looking around the file, but it's the first time I've viewed these files, so it's a bit overwhelming. I do plan on learning everything I need to tune along with purchasing all the necessary hardware, but I'm hoping to find a chip that will get the truck running since I put everything back to stock. What and where should I be looking to find the stock form of these chips? Maybe I'm totally off base here, but I should be able to find a chip and or a computer, as long as it hasn't been tuned, that should get my truck running as it did from the factory, right? Honestly, I would put the AMUS chip back, and before diving into the realm of prom chips, check out the mechanical side of things first. I am not sure a 305 and a 350 fuel pump would not starve the 350. So I would hook up a Fuel Pressure tester and hook it near your wiper and go for a short drive or put load on it until it stalls. Tunerpro does take a long bit of time to learn, and even as far as I've gotten I still don't know near anything possible to do with it. When I was tuning the 7747 I just soldered a zif socket to the 7747, bought a few 27SF512 Chips, and a BURN2 to flash. With a lot of reading along the way. When I first started, and did what you did trying different chips and things, I never experienced a stall under load, just rich/lean conditions which leads me to believe to check the mechanical side things first. Lol. I'm doing my best to aviod diving into the background of proms. I'm only trying to use TunerPro as a reference to identify what standard options came with each chip. The only reason I went down that road is changing the chips changed the condition of the engine, so I thought it might be the first issue I need to deal with. I assumed there was a secondary issue ongoing, but I wanted to make sure the computer/chip weren't causing something I couldn't directly troubleshoot. I drove the truck roughly 25 miles on the ASDZ chip it ran pretty good for the most part, but would attempt to stall when coming to a stop, but only some times. I also hoped that trip would set an SES and give me a direction to go down, but no such luck. When I put the motor back in the truck and hooked everything up, it was very hard to start. I checked fuel pressure and it bled off immediately after shutting the truck off. That's a sign of a bad fuel pump on most vehicles, so I chalked it up as a fuel pump issue (a bad fuel pump aslo fit the symptoms of the truck dying under a load). I replaced it with an EP381 from the Vortec trucks, but that didn't solve the issue either. I then found out the fuel pressure is supposed to bleed off on these motors. Anyway, the previous owner used vacuum hose to attach the fuel pump to the sender. It was still in tact, but not sure for how long or how much it was expanding under pressure (it was pretty soft), so I'm not mad about changing it. Now with the new pump, the fuel pressure is too high at 15 psi, but I think I need a new spring for the regulator (regulator already adjustable) to get the pressure back down to 12. But could this really be my problem? Another side note, I did a few checks on the vacuum and egr system. At idle the truck is running 20 hg of vacuum, the egr valve holds vacuum, and the egr solenoid checks out too. Next, I'm going to check out the Smog system, but I'm not sure that a bad secondary air system would cause the same symptoms I'm dealing with. Yeah, unfortunately chips can cause your condition, and you've seen gearhead and just about how many combinations there are, assuming everything else is okay and tested out good on the truck first. You know? Between the ASDZ and AMUS chip there are a lot of difference, in the VE (fuel) tables, Spark Tables, TCC unlocks, and IDLE speed. Could be the truck is falling on it's face from a lean/rich condition. 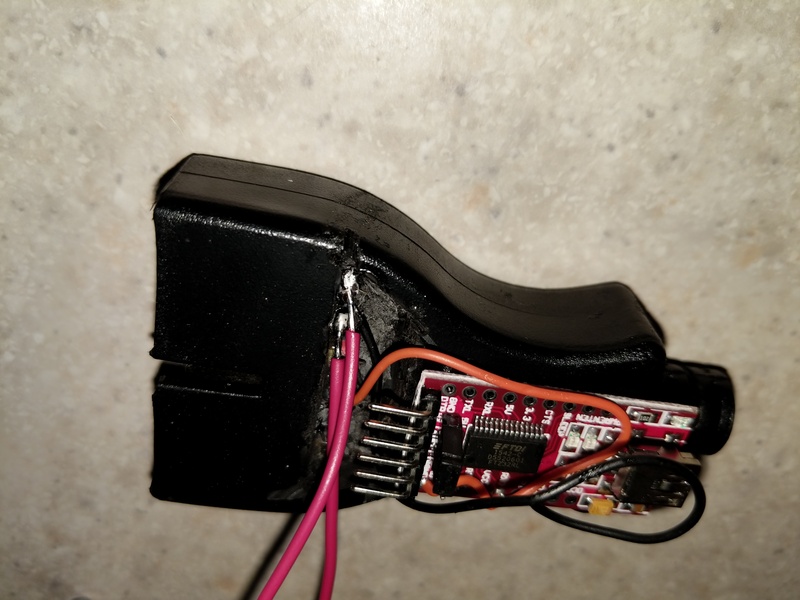 I think easiest (cheapest) way of telling if your stumbling rich/lean is to build yourself a cheap obd1 connector I used this obd connector . This would let you use Tunerpro as a datalogger and read your INT/BLM to let you know if it's stalling because its way too rich or way too lean, and go from there. Yes, 15psi is high. I believe mine runs at 13psi. Let's say you had 61lb/hr injectors (stock 350), and bumped up your psi to 15. I think would leave you with 67.5lb/hr injectors if your regulator wasn't doing it's job. Wouldn't really be a big deal if you could tune., but you're trying to find a chip combo to work for now, so it could play a big factor. I don't have a lot of experience with California smog setups., I'm sorry. Well, I believe I found my issue. I tested the EGR components with a vacuum gauge and a meter and they tested out ok, but there must be something else going on with them. I disconnected the line going to the egr/air diverter to test vacuum. 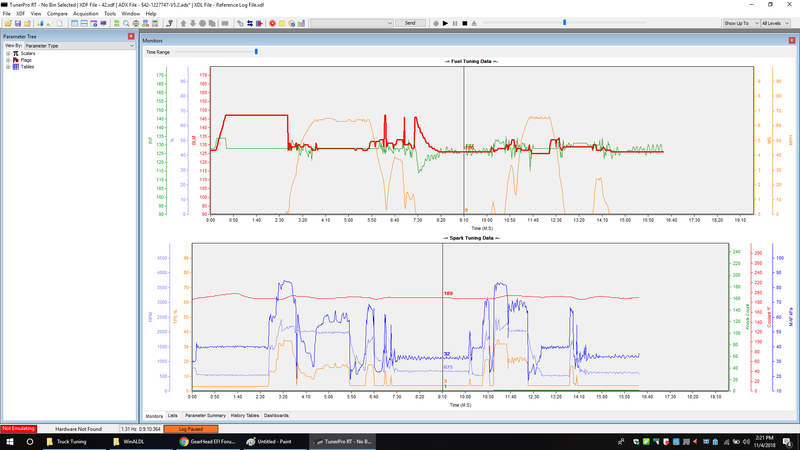 My vacuum was good at 20 hg, but I also noticed while those two components were disconnected the engine was running differently/better. So I left the vacuum line hooked up to the gauge and tested the engine under load. The problem disappeared, so I'm going to replace the solenoid and valve and hope this is the only issue (besides dropping the fuel pressure back down). Thanks for that link. I hadn't seen that one yet. I already ordered it! When I get the parts replaced, I'll let you know if that was indeed my problem. Also, thanks for your help up to this point. One more question though.. I have the Vortec EP381 pump installed; will the factory regulator spring handle the increased volume of this pump? And you tested egr for vacuum hold? I know egr is tested under specific conditions, but if it's letting air leak might not always show up. It's good news that you're getting closer. These trucks are very finicky about vacuum. Awesome!, my pleasure, sorry it's not more help. That's a toss up really, some drop in and long as regulator bypasses enough of the fuel, they run like a top. If regulator in bad shape might need to replace, or add an external regulator. If it runs fine after this leave it alone. The truck was driven daily by a high schooler, and there were several macgyver fixes that I had to reverse. I didn't go through the 305 that I pulled, but from what I could tell, the crank was broke, but the motor did have 200k miles on it. Anyway, this egr and solenoid were running that 305 and I'm curious if they were cause of it's demise. As far as the current setup, I put 15 hg of vacuum to the valve and it held for more than 30 secs, and pushing on the diaphragm while running, caused the engine to studder. Those are the basic tests. My guess is the solenoid is bad. The throttle body that came with the motor was already adjustable, but the lever that sticks out is near the bottom (currently giving me 15 psi), so I'm not sure if it will adjust down to 12 or 13. If it does, I'm worried if the length/spring rate is adequate enough. Just checking if you or anyone else had any experience with that. Once I rent a pressure tested again, I'll try lowering the pressure. Update: So, I finally replaced the EGR valve and solenoid. One or the other fixed the load issue I was experiencing with the AMUS chip installed, woohoo. Next, I received the FT232RL USB to Serial Module and proceeded to build my cable. The link provided Uno122 worked, but I used the 160 Baud pin illistrated on the link instead of the 8192, so I'm not sure if using the 8192 pin would work. I also purchased an OBD2 to OBD1 adapter cable to simplify the connections. I have an ELM327 bluetooth adapter for my other OBD2 vehicles. After a little research, I was sad that I couldn't used this cable with my ELM327 to connect to my computer because the data aquisition is different. 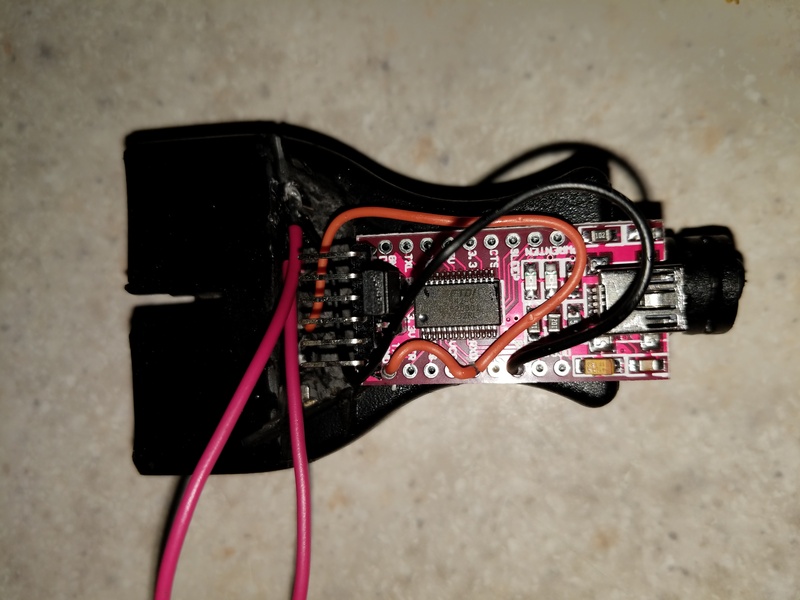 So, I hacked the cable and soldered the ALDL connector to the FT232RL USB to Serial Module. I tested it on my computer and it communicated! Really my only issue now is the USB cable I have is too short . No biggy it still works and I just need a longer cable, or in my case, I'm going to use a USB extension cable I already have. Long story short, I was able to get everthing hooked up and I think I logged a file while idling. Can someone take a look at this file to see how everything looks initially. There are a few things that stick out at me at this point. The timing advance is all over the place. Is this typical? What is typical? When I was hooked up to the truck, I was getting an error count in the bottom of the TunerPro RT screen, but I don't see where to look at the error codes. Are these communication errors, or can someone explain what they are and how to deal with them? Also, I didn't see a place to look at Engine fault codes. Is this a .adx file problem? Couple added notes, the fuel pressure is still at 15 psi, I know I need to adjust it. My base timing is set to 6 degrees because of a couple posts I've read, but I've read just as many to set timing advance to zero. Maybe this is why my timing advance is going all over the place? My idle is high also which I believe is related. 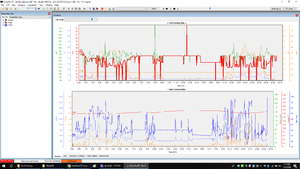 I was looking into adjusting my idle, tps, iac, and timing, and I came accross this post https://www.thirdgen.org/forums/newr...te=1&p=4915920. 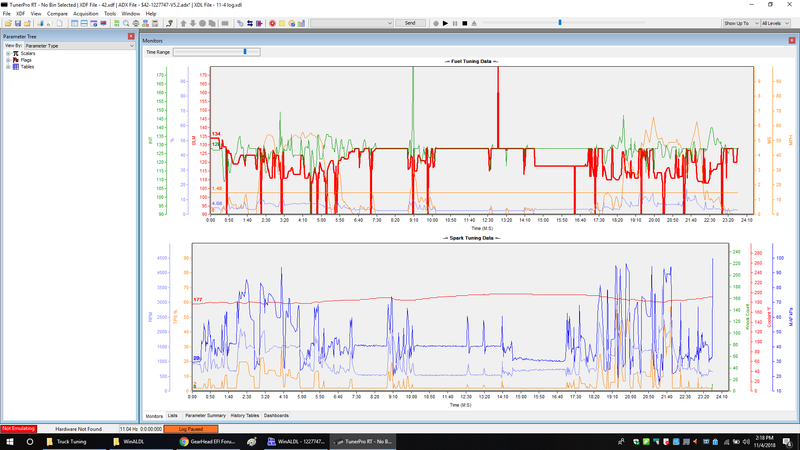 It says, "leave bypass connected and set timing to the value listed for your idle rpm and MAP setting at idle, based on your specific BCC-broadcast code." How do I find the info for my broadcast code? Last edited by Mike Williams; 11-01-2018 at 06:25 PM. Hi Mike! Haven't heard anything from this thread but glad you posted back with the update. I'm happy you are gaining progress in your endeavor. Ive always had "error counts" with cable hooked up to 7747, has something to do with data transfer rate I believe between ecm, adx file, and tablet. It hasnt affected tuning, or datalogging. Your log file though, I have it running, and Im not seeing almost any data. You did this while idling right? because it doesn't fill any cells. As far as i understand it you will not see your "spark advance from hack, inj duty cycle, or bpw" unless you enable that patch flashing a chip. Go for a ten minute drive, actual drive. maybe upload a log afterwards, and I'll help with what I can. I'll attach the .adx I'm using, and kind of instruct you how to get there. After you load the adx file, up on top go to "aquisition", and you will see towards the bottom "show dash, data lists, history tables, and monitors". 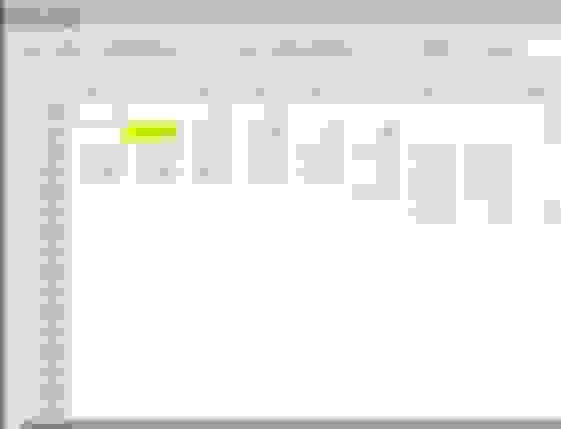 Click on "Data lists", and on that window top left is a dropdown. 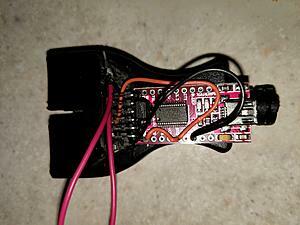 There you will have error codes, sensor, tuner, and switches. I read a lot of that stuff about degrees, and found 0-2 degrees is best for TBI, at least in my "stockish" case. I would set the timing back to 0-2. Thats just my 2 cents though. I would take a look at this for setting up tbi and moving forwards from there. Last edited by Uno122; 11-01-2018 at 08:06 PM. I need a longer cable to be able to drive and log, I'll dig mine out tomorrow and make another log. 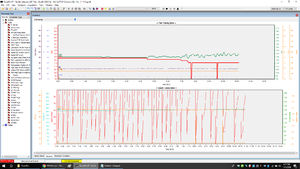 I used the same .adx file you linked, and When I open 11-11 log in my tunerpro it doesn't show the table filled in through the RPM range, but it does show some time based info on the 'Monitors' page. I've included a screenshot. I'm not sure if those 'hacks' are working properly, but they are logging in my file. Should I just ignore them? Thanks for the link, I'll knock that out before I make another log, so we can see if there is anything else going on with a fresh baseline. I wouldnt worry about any of that yet. I think you should start with the basic tuning link, maybe retract your timing back a few notches closer to 0-2. There's only so much the computer can compensate for without having to be tuned or flashed. Ok. Thanks a lot. I'll let you know how it turns out. Ok, I found my cable and made a log. I adjusted the base timing back to zero and the idle is doing better. I still need to lower the fuel pressure and readjust the the tps and IAC, but for now I made a log just to see how I'm progressing. I am concerned about the BLM, it keeps dropping low (62), but the INT isn't going that low. 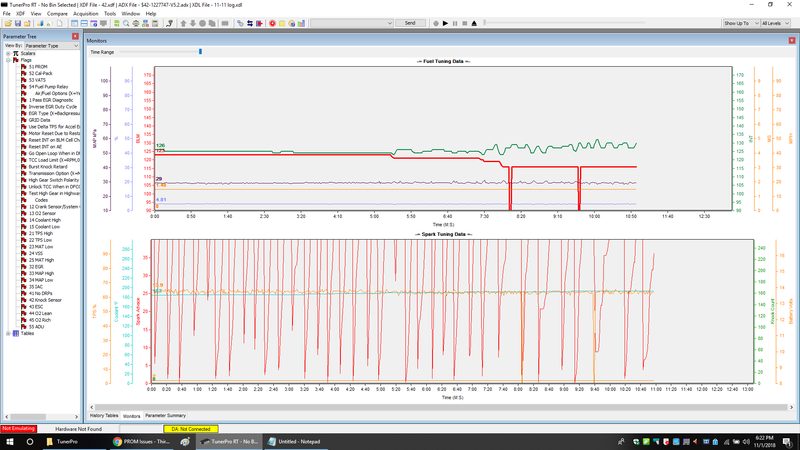 Also, I'm using the reference log to see how my log differs and it seems my log is very 'noisy'. What do you think? Sorry I can't figure out the hyperlink yet. Your blm is your short term fuel. Overall you are running rich. But I have a feeling when you lower your fuel pressure where it's supposed to be, it will lean out a bit. Overall it actually is not to bad. I wont get to into it about seeing data like "64", I think it goes with your cable, and data transmit speed of the 7747, "hiccups" but looking at the history tables, and taking out the sampling counts lower than 5, well, yeah refer to the first sentence. Do as you said, lower your fuel pressure , reset your iac, and calibrate your tps, drive, and post a log after a short drive. You're right your data is a little noisy, be sure to double check your cable connections to everything. Also, check for vacuum leaks, watching it, it is kind of erratic. I adjusted the fuel pressure today, I'm estimating its slightly higher than the 11.5 psi read on the guage because I couldn't get the fittings to seal properly. I'm ok with that. I used the Actron one rented by autozone; in fact thats the only one I've been able to rent, but it has never sealed even when I tried on near the output of the fuel filter. Do you have a recommendation for an adapter near the throttle body, maybe one that is meant to be left in with a check valve? I would love to learn more about the noise I'm seeing on my logs, do you have any links or direction that would help me to understand and correct those issues? My data cable is pretty basic, I bought an ALDL cable and cut the connector off and mounted the board directly to the connector, and soldered 3 - 2" 20 gage wire from the connector to the board. The actual cables I'm running are just usb cables, not speaker or ethernet cables. Then I used a zip tie to secure the board in place and wrapped everything in electrical tape. Do I need to insulate this setup more? I had another car that needed work more urgently today, so the fuel pressure is all I was able to get around to. Once I get the other items adjusted, I'll run some logs with a little more purpose this time. Last time was more of a grocery store trip lol. Uno122, I want to thank you for your help so far. I really do appreciate it. This looks like it might have the right Saginaw adapter for testing at the tb. That cable seems fine then. rxd/txd wired together and ground secured? Not sure what board you have. I'm really not too sure about the noise you're getting, I'm doing this on memories kind of. I've since upgraded the 7747 to the 16197427...boy what a difference.. As long as I know my data was erratic too with it, but it didn't really affect tuning it after seeing it replay in tunerpro. As for the direct links, no idea, :lmao. I know that a lot of what I learned was from gearhead-efi, and a lot of tedious trial, error, and reading. You're welcome, Hey if I can help someone, that someone can help someone else, and so on, I'm glad to help. ​​​​​​​Also, try to get it as close to 13psi as possible, save some trouble down the road, I know its tedious, try the adapter Tuned Performance posted. It's what I use. This is the right one, hes got that right, it connects right behind the TB itself, not the fuel filter. Last edited by Uno122; 11-05-2018 at 06:39 PM. I've attached a picture of the 'cable' I'm using. The 2 red wires are soldered to pins A and B to go into ALDL mode. I planned on using the wires coming from the connector, but there were only 4 wires and they didn't go to the 160 baud pin E, so I used a dremel to access the backside of the pins and soldered the wires there. The board is held in place with a ziptie. It seems to function well, but I can also see how it would be subseptable to interference. I finally set my fuel pressure to the recommended 13 PSI, but my BLM still show a rich condition. I've attached a couple of logs that I've run. 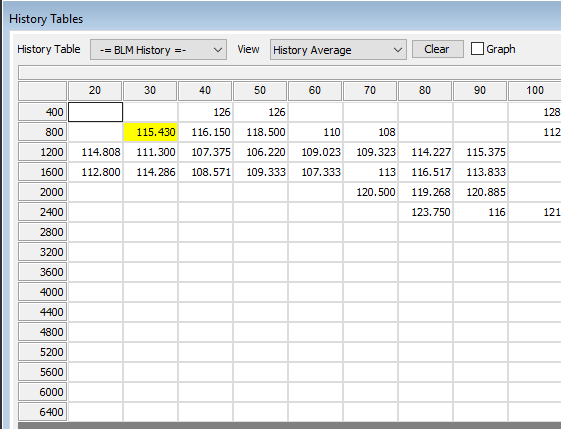 This morning I swapped out to the ASDZ and other ECM to ensure the readings were consistant and not an ECM issue. So log 11-13a is ASDZ, and the 11-12c is the last log I ran on the AMUS and the chip I'll need to run in order to pass smog. Both logs show my BLM low. I'm comparing my log to a reference log posted under the 7747 thread. How can I use these logs to trace down what's causing my rich condition? Is it possible that 13 PSI is just too much? Hi Mike, Good to hear from you. Before I start, Im going off C log. I had that same connector, ended up salvaging just the pins in it, and soldering to wires. Yours looks much cleaner. IF i can remember, I think that connector had a wire connecting two pins inside the molding that drove me nuts diagnosing. No, I think the 13psi is just fine. If you set lower computer will try and compensate. There is only so much you can do without tuning. Also, remember, You can take readings one day and be very close to 128 blm, and the next day be way off. Depends on temperature, and altitude for readings. Other things that can cause you to run richer is a bad or failing coolant temperature sensor on the manifold, not the one that sits on the side of the block. Another thing I can think off on the top of my head is 02 sensor. 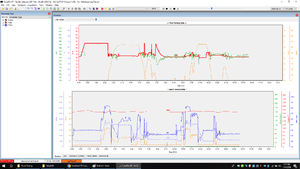 I'd definitley check coolant sensor first, if you do a quick search you can throw in in water as it heats up and use an ohm meter against a chart. Overall, I read, and believe myself that - or + 8 of 128 is acceptable, so youre getting closer. SLP prom = GM performance prom ????? SLP prom = GM performance prom from 91' ?????? Planning on going to DFI or my own Prom burning. What do I do with my old PROM?